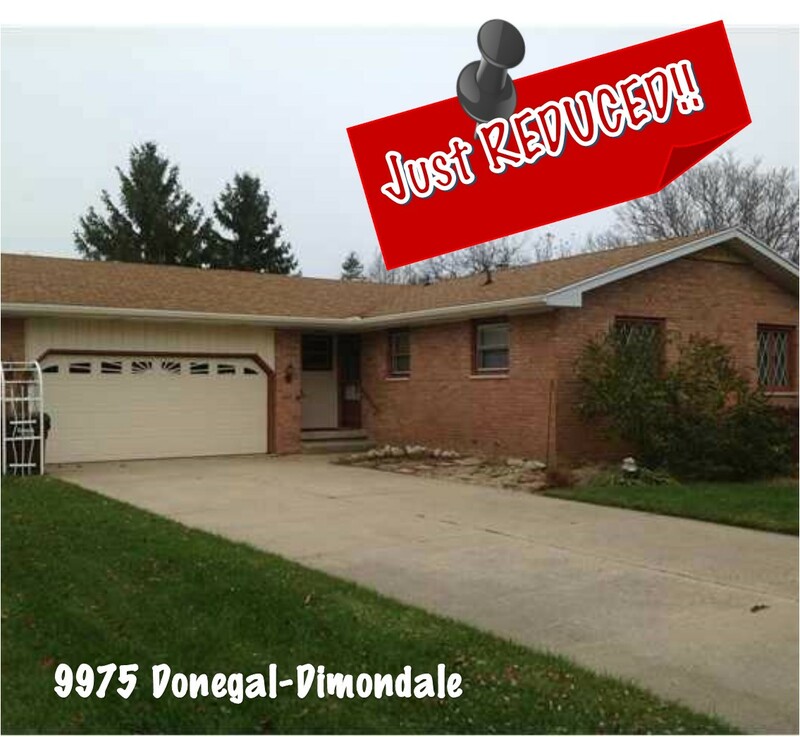 Welcome to 9975 Donegal located in the beautiful city of Dimondale, MI (Holt Schools) and close to highways, parks, and shopping. This Ranch home sits on a corner lot, and has a child safe fenced in back yard. The open floor plan with the kitchen opening up to the dining and living room is great for entertaining. Enjoy those cold nights nestled close to the fireplace while relaxing in the living room after a long days work. This home has 3 spacious bedrooms and 1.5 baths on the main level. It features a full basement with a second brick fireplace in the family room, and a large open area for a rec. room. For additional information on this property contact Jeff Burke of The Selling Team at (517)853-2585 or click here! Posted on August 11, 2013, in All Other Listings, What's New?. Bookmark the permalink. Leave a comment.